Oh, eggs, let us count the ways we love thee. Poached, scrambled, fried or boiled, now you’re bringing us even more joy by providing us with our daily amount of vitamin D. Yes, rainy days can do one, because who needs sun when you can have sunny-side up? The revelation comes courtesy of Curtin University, where researchers were investigating the issue of vitamin D deficiency in Australia (who’d have thought?). Researcher Rachel Cheang said that despite being most associated with sun exposure, diets that contain high vitamin D content should be enough to supplement the lack of sunshine—good news for us Brits. And considering two large eggs packs around 10 milligrammes of the stuff, you’ll be hitting your RDA guidelines by midday. But it isn’t just eggs you want to be adding to your meal plans. As a side note, swerve the egg-white omelette because it’s the yolks that are the heroes. The Dieticians Association of Australia also added fish, mushrooms and milk to its list of sunny delights. When we asked nutritionist Eve Kalinik what she thought of the claim, she was in agreement that while it was trickier to get vitamin D RDAs via your diet, which is 10 milligrammes, in case you’re wondering, it wasn’t impossible. “Oily fish such as sardines, salmon or anchovies, cheese and organic grass-fed red meat will have higher contents, too,” she told us. And yes, she did just list cheese. You’ll notice that most of the sources are animal byproducts or meat itself. That’s because plants only produce vitamin D2, and it’s D3 that’s the deal breaker, which is found in all of the above. Why? Because it’s absorbed better by the body and can raise and maintain vitamin D levels, which is good when you never know when you’re next going to see the sun again. Why do we need it again? Vitamin D regulates calcium, improves immunity and makes for a healthy heartbeat. A deficiency could lead to anything from autoimmune disease to depression to dementia, although most commonly it’s associated with rickets. According to nutritionist Kim Pearson, more subtle signs could include fatigue, muscle aches and pains and a susceptibility to infection. Although aren’t they the symptoms for everything these days—adrenal fatigue, anyone? How to know if you need it? We all need vitamin D so our bodies can perform at optimum health, but you can find out if you’re lacking via a blood test. You can buy one online, or if you ask your GP, they should happily take the lead and will prescribe supplements if need be, although we’d recommend Wild Nutrition’s version, which is void of bulking agents and contains a high-strength vitamin D3. Of course, there’s no harm in taking one either way, especially when you can’t rely on the sun to show its face. Or go back to brunch—like we needed an excuse. Vegan? 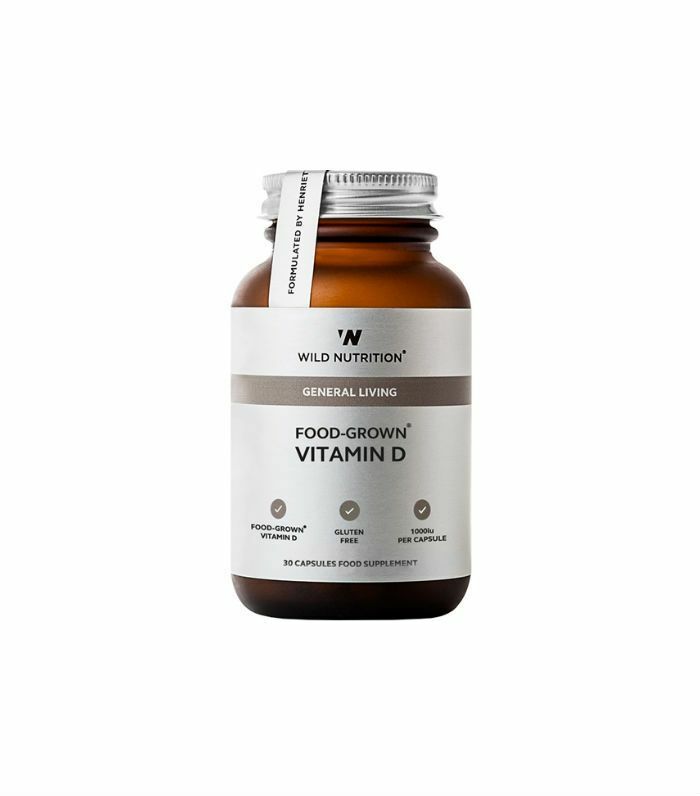 Supplement with Viridian Vitamin D3 (£13). Now read on to see what vitamins you need for great skin.